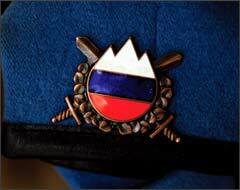 Slovenia’s armed forces are eighteen years old, a date marking the country’s independence from the former Yugoslavia. Unable to access the original suppliers of its armed force’s legacy equipment, Slovenia has been obliged to undertake an almost compete revamping of its military equipment, including soldier modernisation. It believes that its future soldier programme, known as The 21st Century Warrior or Slovenian Warrior is now almost complete, with the exception of C4I which they believe is arguably no bad thing reflecting, the speed at which developments are taking place in that field. The Slovenian Armed Force (SAF) define its Warrior programme in the context of a unit system consisting of a section within a motorised unit, equipped with two types of vehicle, the 6x6 Pandur and more recently the 8x8 Patria AMV, the latter giving the section greater internal volume and mobility. The first infantry company received the AMV in 2009. The Warrior programme began with a pre study phase in 1998, quickly followed by a study phase with field trials from 1999-2005 with procurement and integration of a number of equipment categories taking place from 2002 to the present day. The scope of the Warrior programme is ‘simply’ that it covers all the equipment that the soldier will use, carry, wear and consume during operations. Four key areas of improvement have already been achieved, in the areas of small arms, higher level C2, protective clothing and individual equipment and mobility. The programme’s acquisition strategy comprises several core priorities, emphasising the purchase of, off-the shelf equipment, ideally field proven with a development path that would allow for future equipment upgrade, supplied by a domestic source if possible. Lt. Zakrajsek puts the cost of an individual soldier, fully equipped with night optics at around €18,000. The Warrior programme’s most recent achievement has been a complete replacement of its suite of small arms, which has broadly coincided with the full professionalisation of the Slovenian armed forces, supplemented by a small contracted reserve. The core of the small arms programme is the adoption of the FN F2000S assault rifle with 6500 weapons being acquired. At the time, Lt. Col Zakrajsek explained, “it took a quite a lot of courage to choose a weapon that was still not proven with other armies but as we tested it, it proved quite reliable and gave us all the capabilities that a modern assault rifle should have.” He identified key factors in its favour as the weapon’s balance, small size and weight and utility for Military Operations in Urban Terrain. In terms of optics the FN2000 are issued with a mix of the COMP M-2 and Trijicon ACOG 3.5x35 sights. New sniper rifles are also fielded, including the 7.62mm Ultima Ratio Commando and the larger 8.6mm Mini Hecate with both rifles using Schmidt and Bender sights. For suppressive fire, FN’s 7.62 mm MAG and 5.56mm Minimi have been selected. For night operations, Simrad’s KM250 and 252 are issued. Slovenia’s new anti-tank capability is represented by the RGW 90 equipped with both fragmentation and anti-tank warheads. At the beginning of December 2009, approximately twelve months of testing procedures for the SAF’s new urban and all purpose uniform, issued to 13 different Army units, was completed. Prototypes of the all purpose uniform have now been tested in all required environments and circumstances: on exercises both international and domestic, during Winter, Spring, Summer and Autumn, during daylight, night and while observed with IR devices. The prototypes for the uniform fulfil all the programme’s challenging camouflage requirements including use in all weather conditions from -32C to +49C. Manufactured from 100 percent cotton, rip stop material it also affords complete IR protection. It is also more breathable, easier and more comfortable to wear with greater water protection and more pockets. The SAF have also developed a new type of military boot which features increased comfort, durability and flexibility, with anatomically designed foot bed, firm rubber and sole protective toe cap, designed to provide extreme rigidity and comfort at the same time. The Warrior system’s modular load carriage system comprises a rucksack, combat rucksack, combat belt and shoulder belt, carriage equipment and sleeping equipment. For CBRN protection, new protective clothing has been sourced from Saratoga and each soldier carries a personal dosimeter. More capable CBRN detection resides at the battalion level. The current Slovenian C2 battle management system, reaching down to the squad leader and up the brigade is the TIS C2 project, which will equip the 1st Brigade and 10th MOTB. At the squad level, users are connected via the RF-5800V-HH radio with information, presented on a hand held display. However, Lt. Col Zakrajsek added that in the future a helmet mounted display was being considered. The information available to the user consists of situational awareness information, mapping and reporting and messaging functionality. In addition to Squad Leaders, Forward Observers and Special Forces will also receive the equipment.